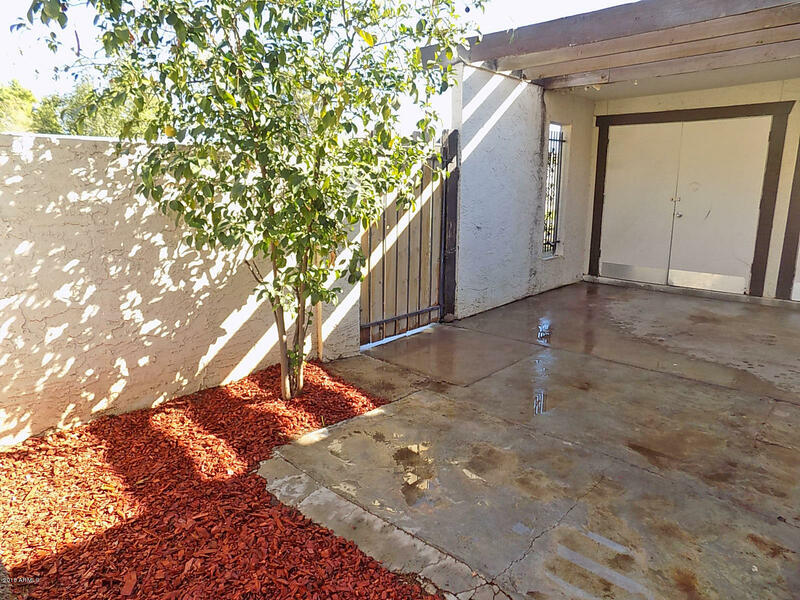 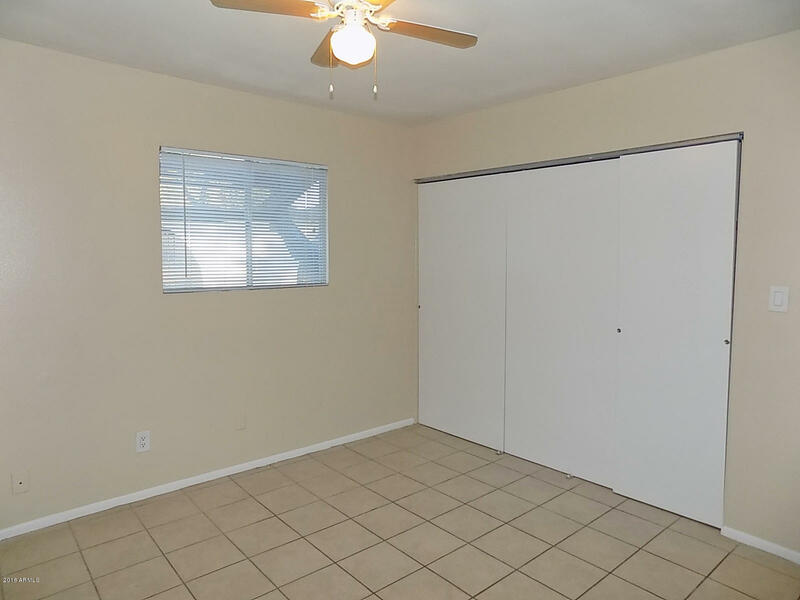 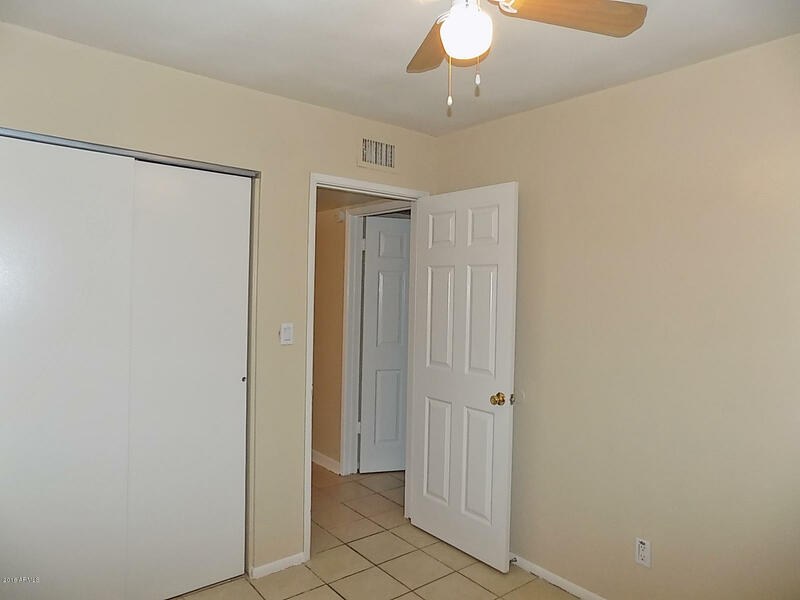 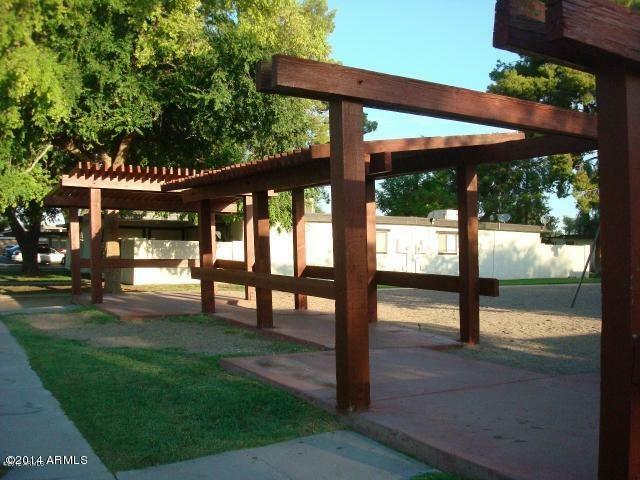 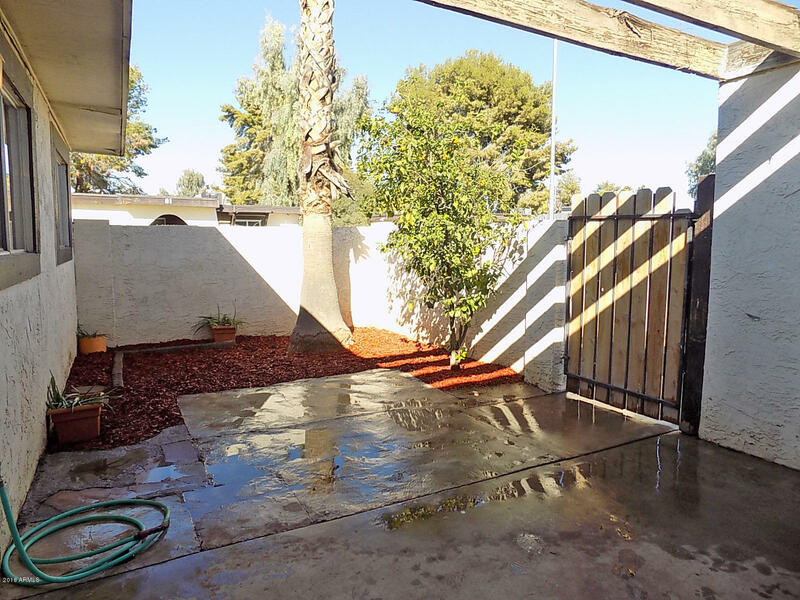 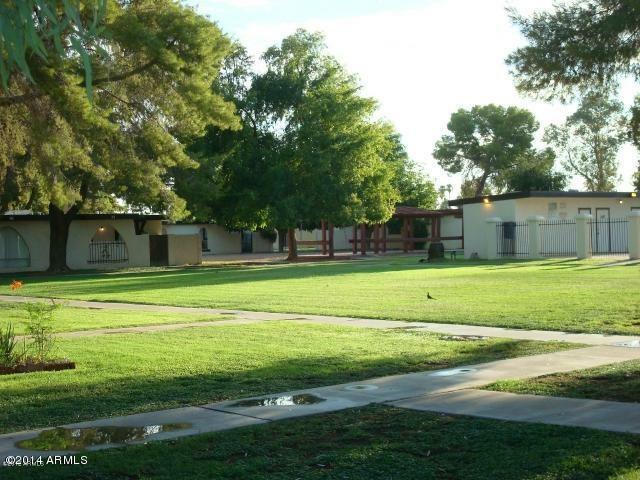 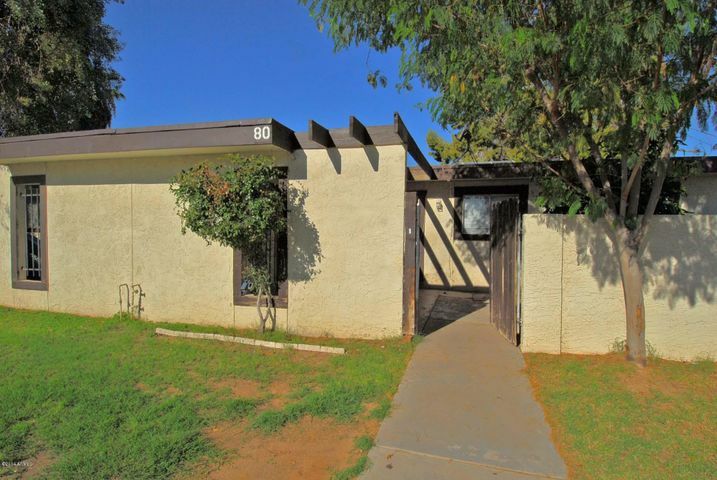 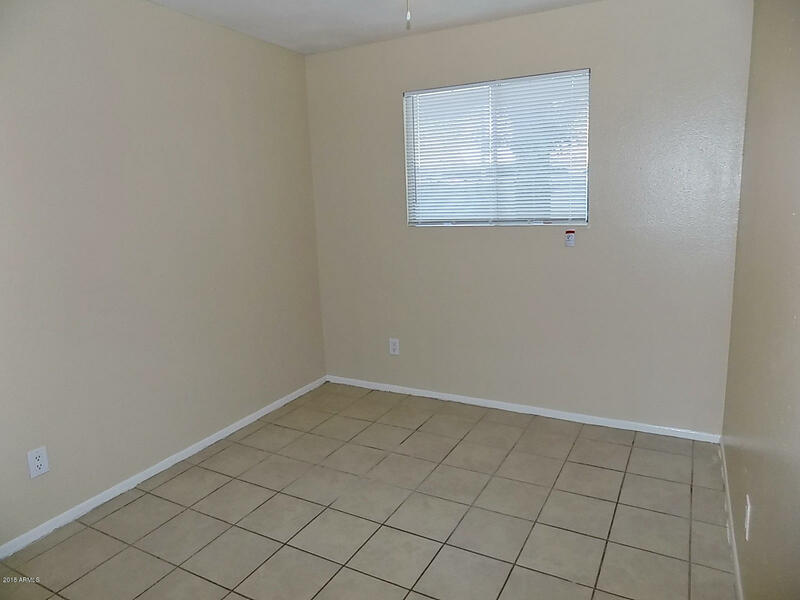 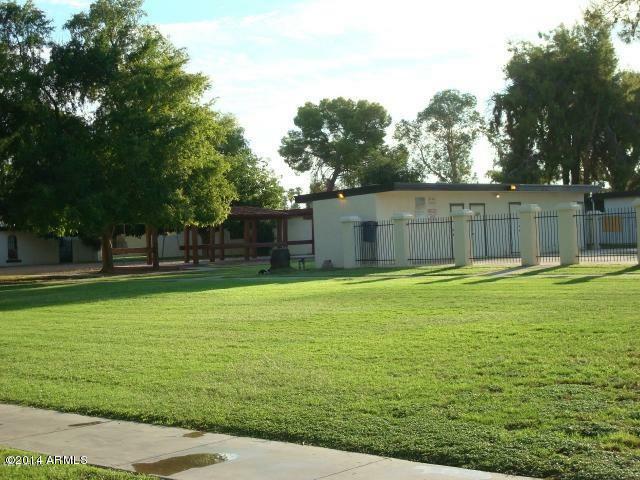 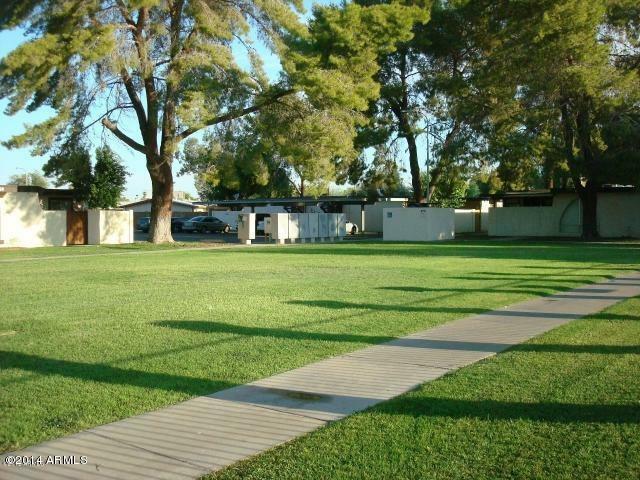 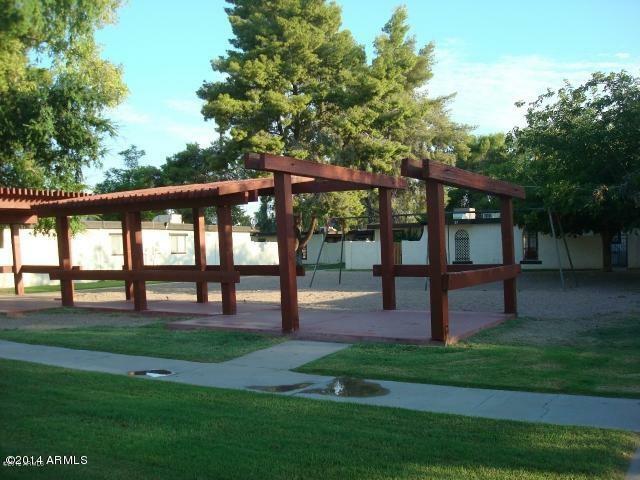 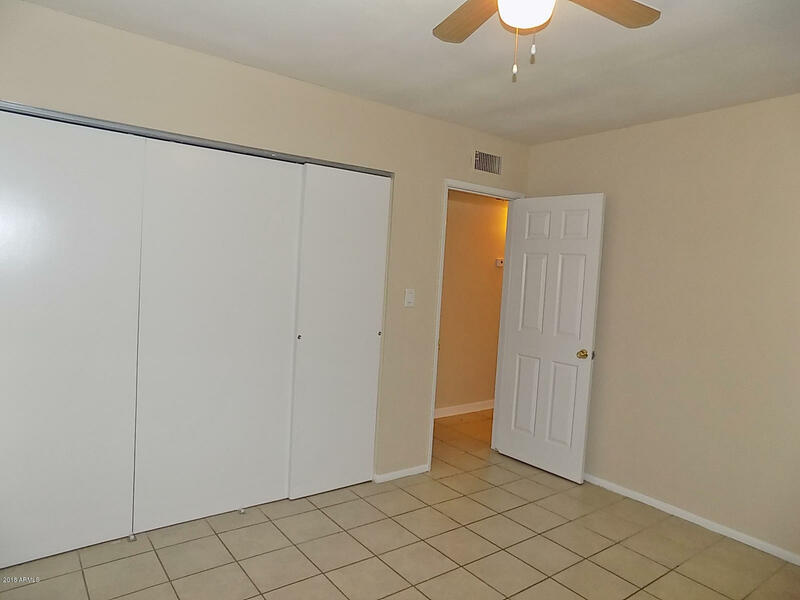 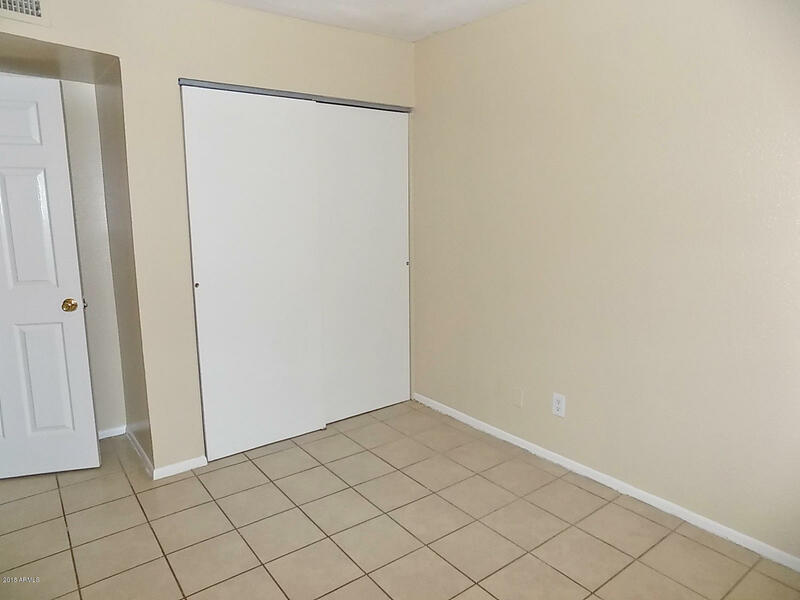 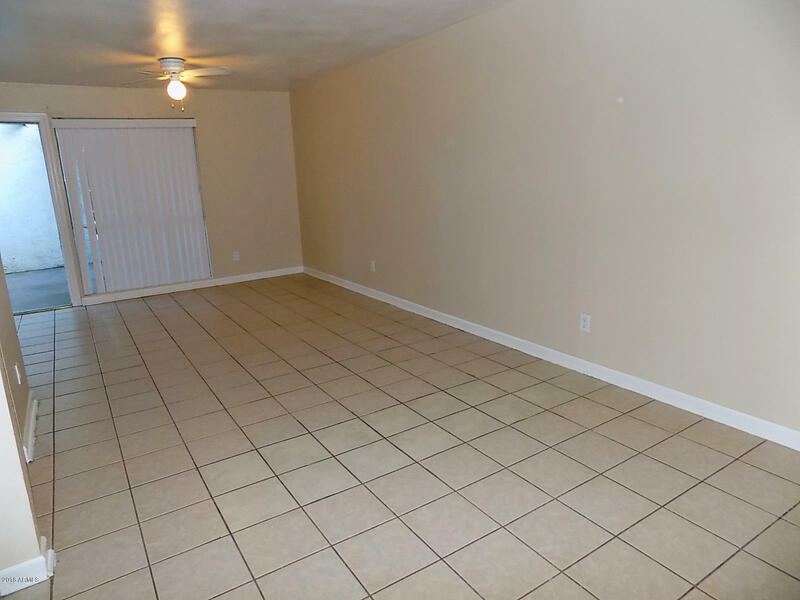 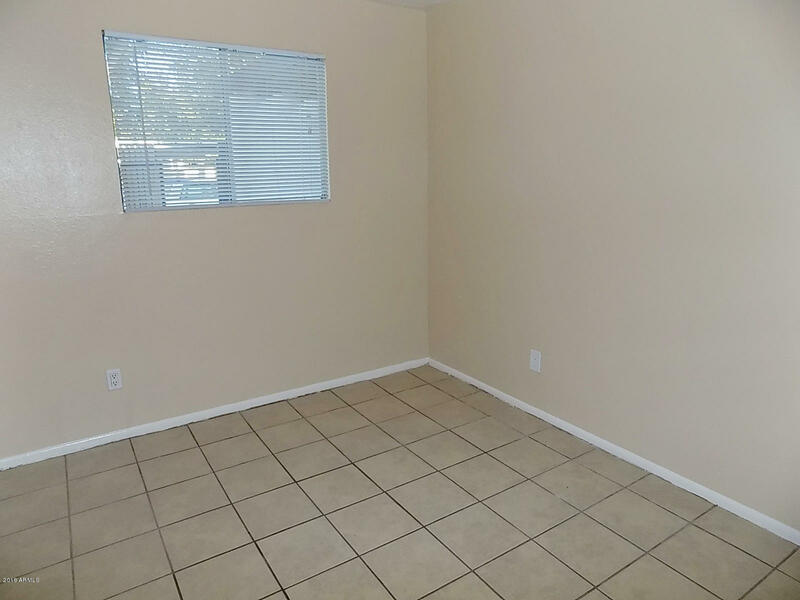 This west Mesa single level town home is an end unit with 896SF, 3 Bedrooms, 1 Bath & close to community pool. 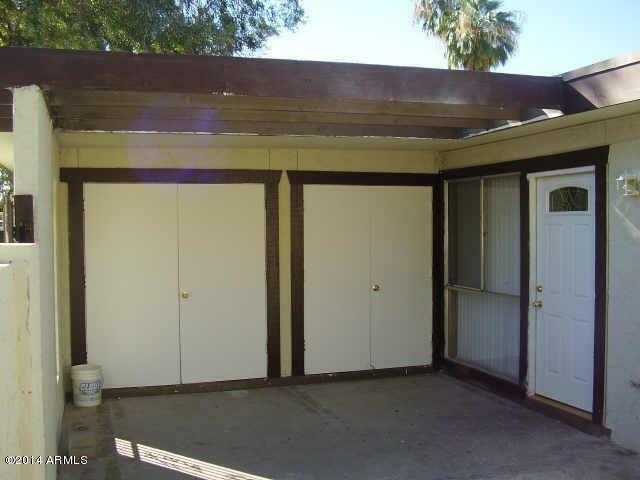 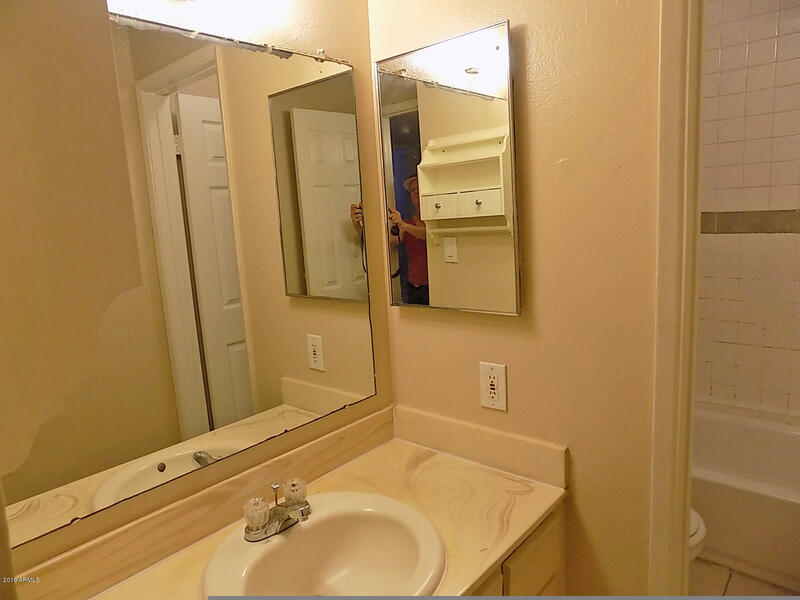 Home was recently painted, has neutral ceramic tile, window coverings and ceiling fans thru out. 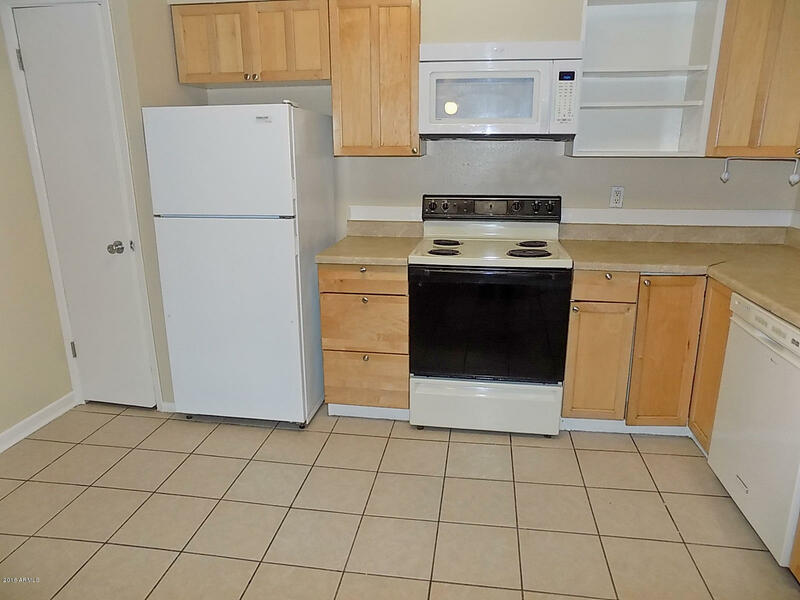 Kitchen includes newer cabinets, refrigerator, stove, dishwasher and built-in microwave. 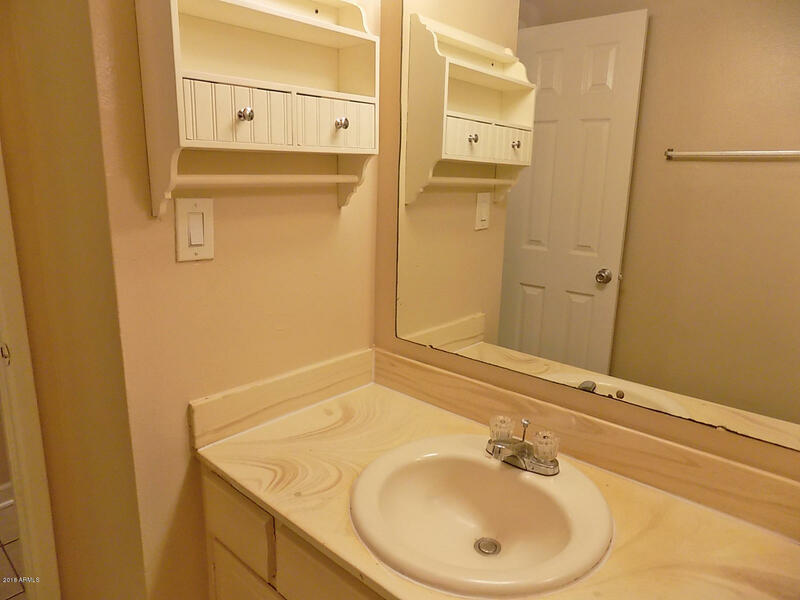 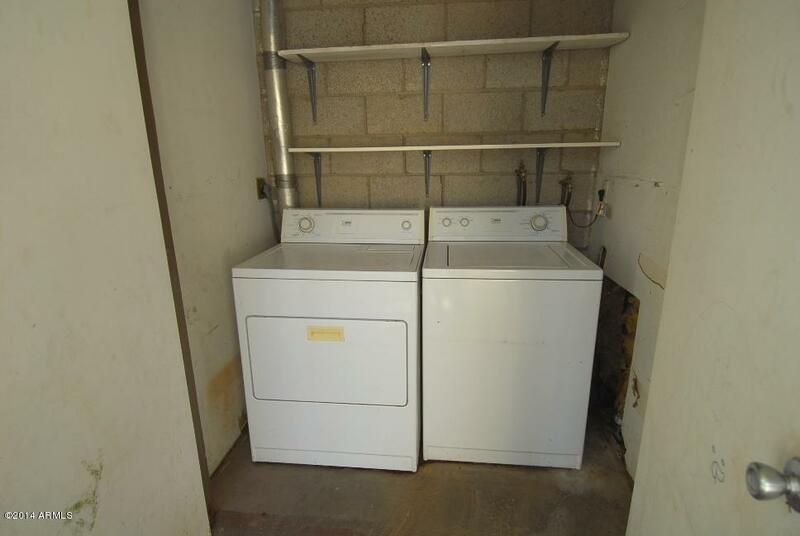 There is a private laundry off the enclosed patio area (washer & dryer included) plus additional storage room. 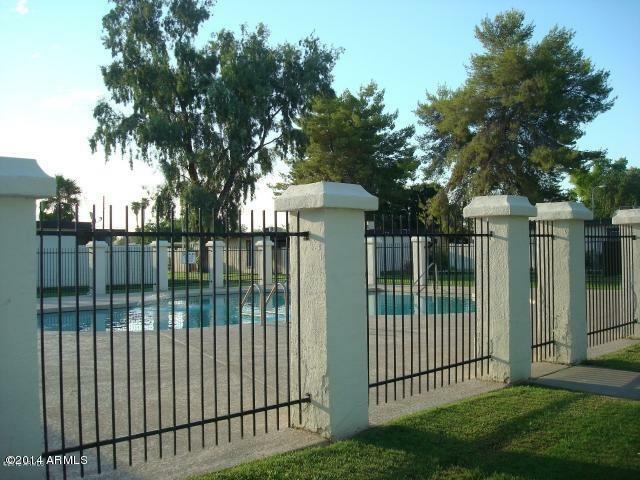 Community has green play areas and sparkling community pool. 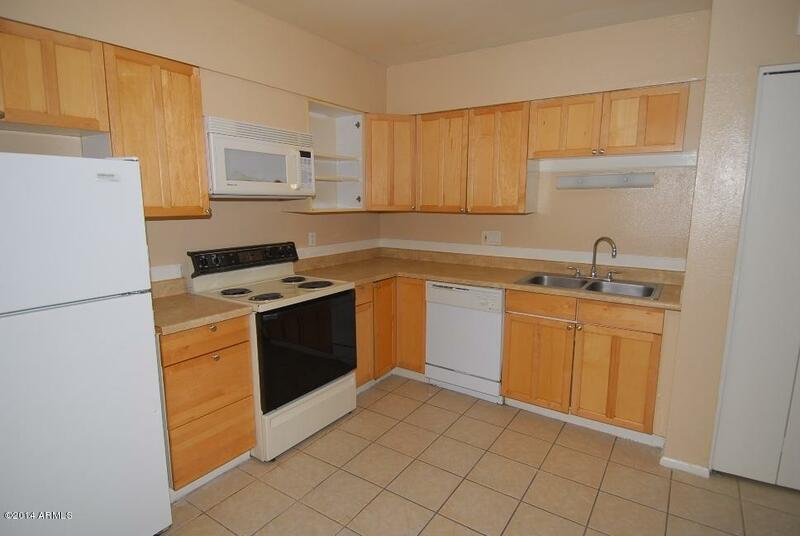 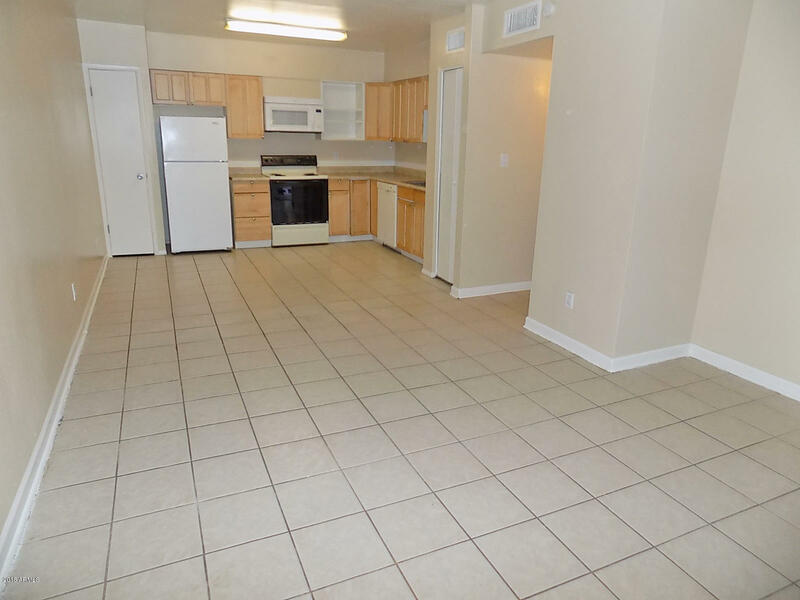 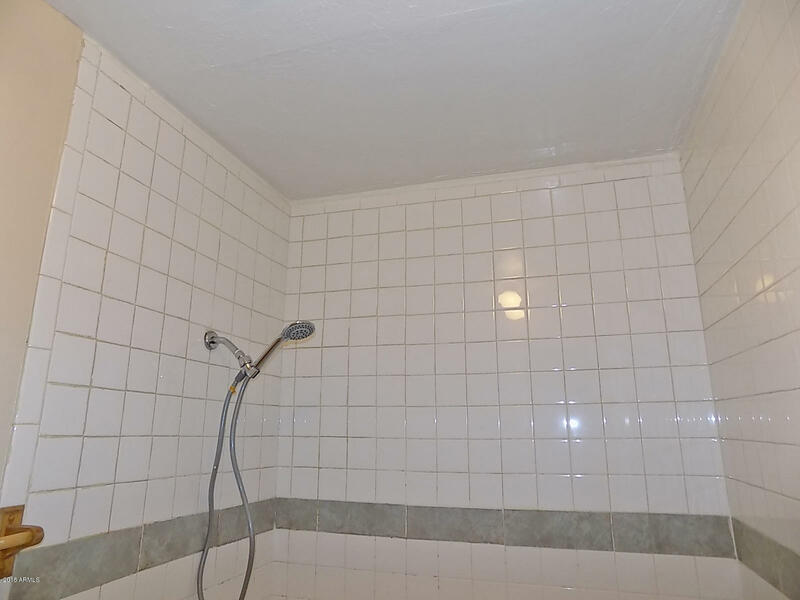 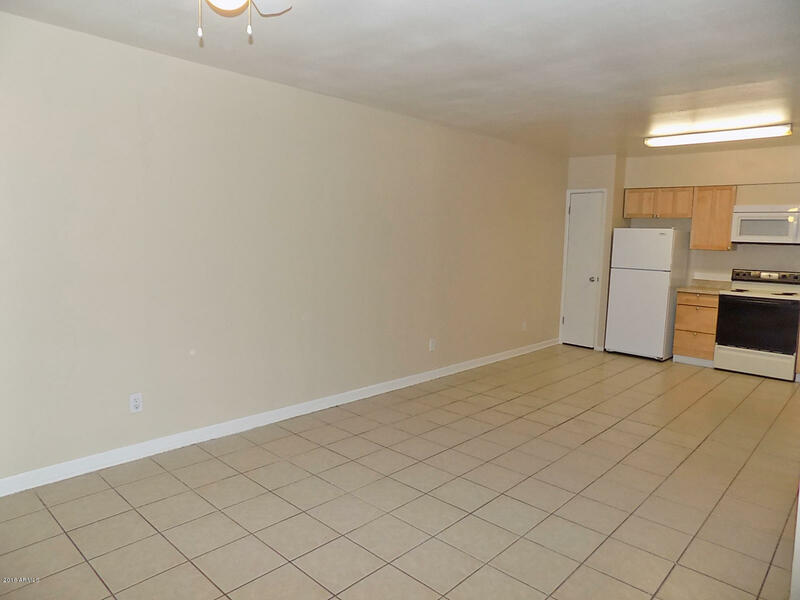 Near MCC and ASU, Restaurants, Shopping, Public Transportation and the 60, 202, and 101 Frwys. 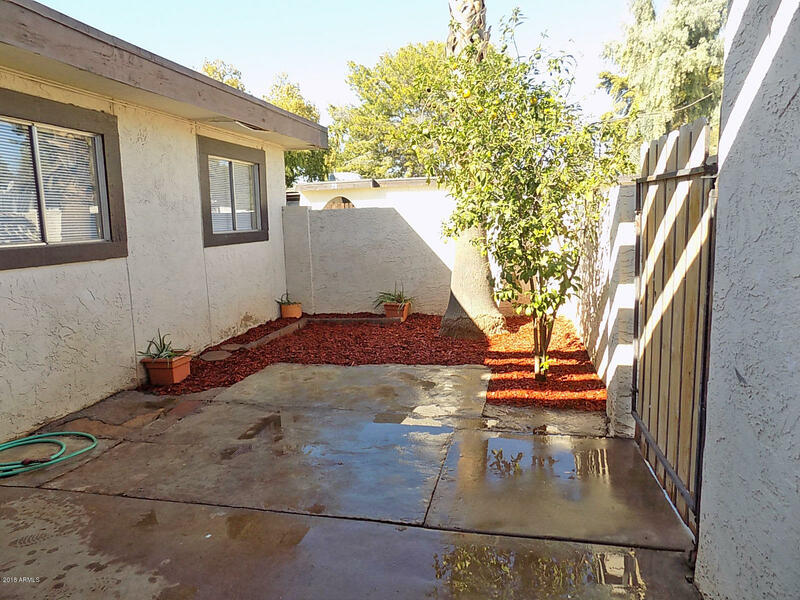 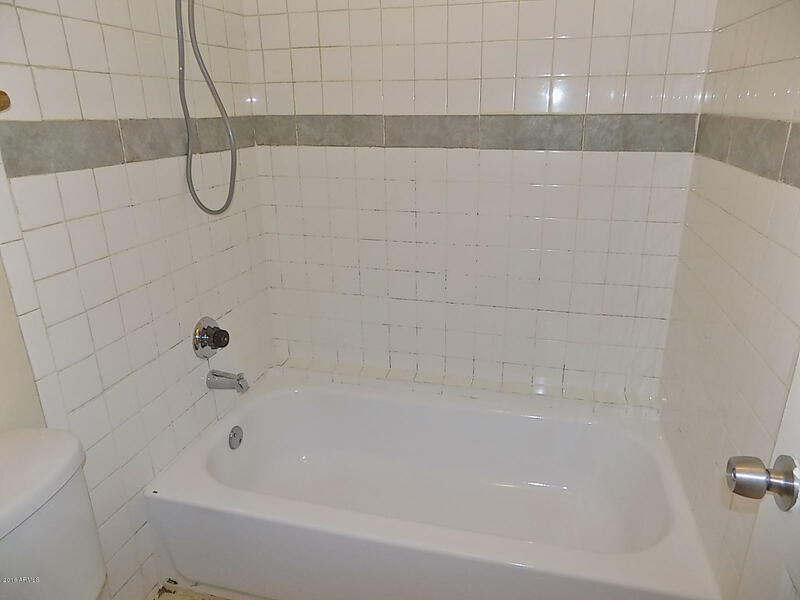 This home is perfect for the first time homebuyer, investor or as a lock and leave winter home. 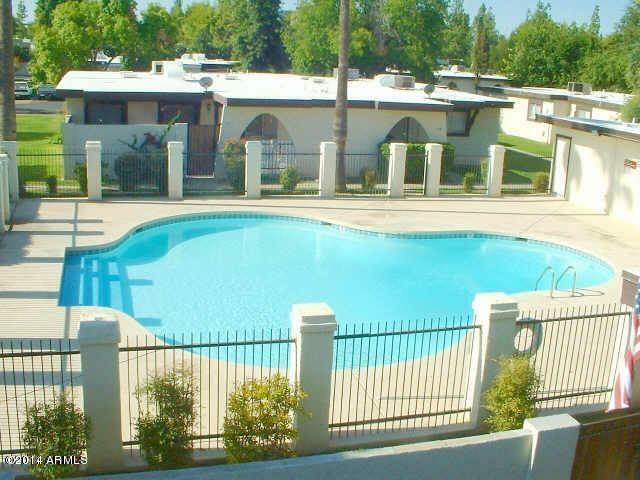 HOA is only $195 per month. 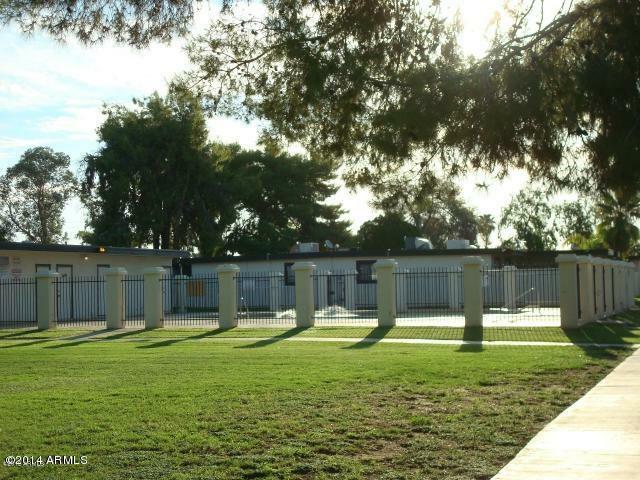 There are 2 assigned parking spaces - 1 covered & 1 uncovered plus guest parking.